Hi. My name is Leonardo, I am 51, and my official job is teacher of Italian to foreigners. Cooking has always been one of my, not secret, passions. But I am not properly described as a “food maniac”. Nor do I share any “professional chef” style or attitude. I just like having people sit down and taste the best, simple, various Florentine food. 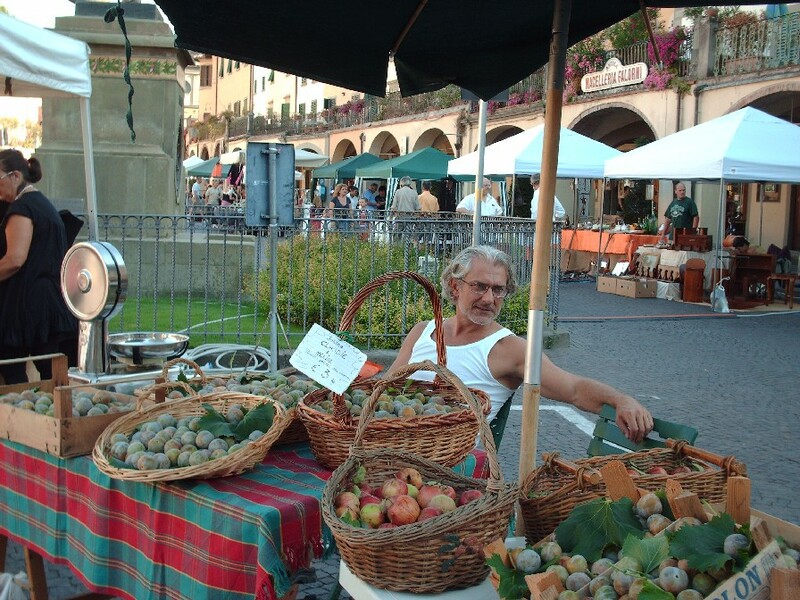 Hereunder you can see me at the “Market Under the Stars” in Greve in Chianti, selling organic “Claudia” plums from some trees of mine.